Summer trainings, full-term optional / compulsory internships, ‘On-the-job’ trainings, study tours, and skill enhancement events and workshops are extensively integrated in LPU curriculum. They expose students to real work environments and provide an opportunity to apply their learning in real life situations. On-site experience has been gained by our students through industry internships in corporate giants like Cognizant, Microsoft, Infosys, ABB, ISRO, Simplex to name a few. LPU offers various opportunities for students to work directly with industry on Live and Entrepreneurial projects. Industry projects give our students insights about latest trends in the corporate world and help them become competitive and ready for the real world. 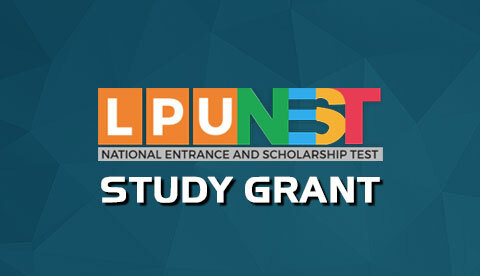 LPU has collaborated with top companies for providing its students with industry immersion. LPU is proud to be associated with Google Inc. for providing LPU students a diversified learning experience for Android Programming and Digital Programming. Under this collaboration, LPU faculty is trained by Google Trainers on the latest technologies. LPU has partnered with Microsoft for various ventures like Microsoft Dream Spark Premium Membership, MSDN Academic Alliance, Office Live Workspace etc. Microsoft IT Academy, established at LPU, is an excellent platform for IT infrastructure, where students can undergo Microsoft Certifications. To equip the students with the latest trends in the Networking domain, LPU houses a CISCO Training Academy on its premises. This academy provides the students with hands-on-training in the field of Network Security and Configuration to keep them updated with the latest advancements in the Networking domain. The support for the course provided by CISCO includes the establishment of latest technology labs, Train the Trainer Programme, and student engagement. Intel is an American multinational corporation and technology company having expertise in cloud computing, data centre, the Internet of Things, memory and FPGAs, all bound together by the goal of greater connectivity and enhanced performance. Intel Centre of Excellence at LPU is a state-of-the-art establishment for imparting training on these latest technologies. Texas Instruments is an American technology company that designs and manufactures semiconductors. With focus on developing analog chips and embedded processors, the company also produces education technology products including calculators, microcontrollers and multicore processors. Texas University Lab at LPU provides to LPU students hands-on-experience on the latest technologies. LPU has partnered with Tech Mahindra, the Indian Software Giant, for Tech-Mahindra ELITE Programme. Being a key recruiter for LPU students, Tech Mahindra offers Capability Development Programmes, Sponsored Projects for Research and Development to the students under this tie-up. LPU is one of the nodal universities under Dell EMC's academic alliance programme. EMC information infrastructure unifies networked storage technologies, storage platforms, software and services to help organizations better and more cost-effectively manage, protect, and share information. EMC Academic Alliance is an initiative by EMC to fill the gap that exists in IT with regards to information Storage knowledge. Through this programme, Dell EMC is building professionals for the highest growth in IT storage. As a nodal university, LPU is helping its students in building knowledge, skills and expertise that allow them to excel in their jobs and improve operational efficiencies. LPU has endeavoured with BOSCH for the establishment of an Automotive Centre of Excellence with state of the art infrastructure. Under this MoU, LPU faculty will be trained by the technical experts from BOSCH . Our students and faculty will also be working under the guidance of the experts from BOSCH on the research projects to solve the problems of the industry. Enterprise resource planning is the key to success in the corporate world and, taking into consideration the same, LPU has established the latest SAP Labs for its students for providing them the key resources for getting certified by the latest offerings by SAP. These courses are embedded into the curriculum of the Management and Engineering courses to give the students hands-on-training on SAP modules. The VMware IT Academy is a global network of approved colleges and universities that provides students access to high quality educational content and certification on VMware technologies. VMware Academy at LPU gives the students and faculty an exposure to VMware products like vSphere, vSAN, NSX, Workspace, Airwatch and vCloud, including training and certifications, for making India the Skill Destination of the World. Under the University Software programme, Lovely Professional University has established a dedicated lab for VLSI training. Using Cadence Electronic Design Automation (EDA) tools, students gain the latest technology and develop skill sets required in the real world. The Department of Engineering has already incorporated EDA software in the curriculum and the faculty and students are working on academic as well as research projects on this platform. Logistics is the key to the growth of any developing economy. For adding value to the curriculum in the field of logistics management, LPU has signed up an MOU with Safeducate for a course titled MBA in Supply Chain and Logistics. The programme helps the students to understand the advancements in the field of Logistics and Supply Chain Management and evaluate the contribution of logistics management in the economic development of the country. Delegates from Safeducate visit LPU campus for training the students on the latest trends in logistics management. Hughes is the world’s leading provider of satellite broadband for home and office, Digital Media Solution, delivering innovative network technologies, managed services or Network Solutions, and solutions for enterprises and governments globally. Under tie-up with Hughes, LPU has established an advanced lab to provide its faculty and students a platform in the field of technology like Network Security, Broadband Satellite Systems, High-throughput Satellite Constellation, Mobile Satellite Systems and Terminals, Multi-branch Technologies, Digital Media Hardware. LPU students work hands-on with the Hughes team on real time projects and deliver world class solutions at Hughes Centre of Excellence at LPU. LPU has membership with ADE to enhance skills of the students about the software for design and engineering. ADE club has been created at LPU with the objective of helping students to get experience on Autodesk digital design software and encourage the adoption of forward thinking capabilities such as digital modelling and new product designing. This will enable students gain insights into the impact and function of their visual designs before taking real shape. Glass Academy has been established at LPU to provide students of Architecture and Design, knowledge and skills on glass as a building material, to share the latest trends that govern the structural and aesthetic possibilities of this quintessential material. LPU's collaboration with Glass Academy empowers the students in skills like Glass Processing, Building Facade Installation, Fenestration, and Interior Glazing. LPU has signed an MOU with Central Tool Room set up under Ministry of MSME, Govt. of India for Training and Development of students on the latest trends in Mechanical and Manufacturing Engineering for skilling of students for better placement. Lovely Professional University and National Stock Exchange of India Ltd (NSE) have joined hands to offer NSE certified Capital Market Professional Programme to its students. The tie-up provides knowledge and awareness to the young generation about the capital market and thereby helps them upgrade their skills and proficiency in the stock market and equity management. UpGrad is an online higher education platform providing rigorous industry relevant programmes designed and delivered in collaboration with world-class faculty and industry. UpGrad is creating an immersive ‘anytime and anywhere’ learning experience by merging the latest technology, pedagogy, and services. LPU has collaboration with UpGrad to provide learning opportunities to students through these rigorous online programmes that are developed in collaboration with the best in class faculty and industry professionals, and with offer of personalised support. National Institute of Technical Teachers Training and Research (NITTTR) Chandigarh, (established by MHRD – GoI) and Lovely Professional University have partnered for sharing the expertise and resources for quality improvement of professional education by jointly organizing short term courses, conferences, and seminars. LPU has signed an MOU with Smur Agro Ventures Pvt. Ltd., a scientific organic inputs organisation. Under this MoU, various initiatives to promote and advance organic farming practices in the country will be undertaken jointly. Some of the initiatives under the MoU are development of advance organic solutions for our agriculture community, start of Agro Entrepreneurship Programme for weaker section of students, hosting joint seminars and workshops for better training of students in modern organic farming and publishing organic best practices for India in multiple languages for the benefit of organic agriculture farmers in India. LPU has a tie up with Punjab Remote Sensing Centre (PRSC), an autonomous organization under the Department of Agriculture, Government of Punjab, the apex body in the State for all Remote Sensing (RS), Geographic Information System (GIS) and Global Positioning System (GPS) related works. It is designated as a Nodal Agency by the Govt. of Punjab for geospatial needs of the State and also acts as the centralized hub for the geo-spatial data to all the user departments. LPU has partnered with The Institute of Chartered Accountants of India (ICAI), a statutory body established by an Act of Parliament, viz. The Chartered Accountants Act, 1949 (Act No.XXXVIII of 1949) for regulating the profession of Chartered Accountancy in the country. The Institute, functions under the administrative control of the Ministry of Corporate Affairs, Government of India. The ICAI is the second largest professional body of Chartered Accountants in the world, with a strong tradition of service to the Indian economy in public interest. This collaboration enhances the capability of the students in the accountancy and the allied domains. LPU has partenered with Informatica to support curriculum development for two electives in Data Quality and Data Integration for the B. Tech Computer Science stream at Lovely Professional University (LPU). Students opting for these electives can intern with Informatica and pursue full-time positions on completion of their engineering course. IEEE is a global community of technical professionals whose core purpose is to foster technological innovation and excellence for the benefit of humanity and to recognize the contributions of technical professionals in improving global conditions. It opens the door to opportunities that help to develop professional identity in IEEE's designated fields of interest i.e. Sciences, Technology, Engineering, and Mathematics (STEM). As a member, one can make global connections with people who can help along targeted career path through IEEE's international community of members and volunteers. IEEE-LPU Student Branch is regularly volunteering to support and promote various activities and events in LPU for advancement in the engineering field, especially in Electronics Engineering. The Institution of Engineering and Technology (IET) is a multidisciplinary professional engineering institution that represents the engineering professionals. The IET assists governments in making the public aware of engineering and technological issues. It provides advice on all areas of engineering, regularly to the Parliament and other agencies. LPU has membership with IET to enhance skills of the engineering students through Research, Publications, and Conferences. For creating a sustainable environment for conducive growth of the industry and society, LPU works hand in hand with CII in framing policies for bridging the Gap between the Industry and the Academia. Some of the key features of the LPU - CII membership are: hands-on-training for skill development, testing of the industrial products, joint certification by awarding bodies and partners, joint projects, policy framing for betterment of Academia-Industry Relationship, jointly hosted training/ courses. Computer Society of India (CSI) is the first and largest non-profit professional society in India where computer professionals meet to exchange views and information, learn, and share ideas. The CSI is committed to the advancement of theory and practices of Engineering and Technology Systems, Science and Engineering and Information Processing. Through CSI membership, LPU facilitates research, knowledge sharing, learning and career enhancement among all categories of IT professionals and students. NASSCOM, a not-for-profit industry association, is focused on building the architecture integral to the development of the IT and BPM sector through policy advocacy, and helps in setting up strategic direction for the sector to unleash its potential and dominate newer frontiers. LPU has tied-up with NASSCOM to improve the quality of skills in the fields of Start-ups, Social Development, Software Development, and Research. National HRD Network (NHRDN) is a unique platform where HR professionals, business leaders, academicians as well as young management students meet to exchange ideas, discuss common issues, and work together to develop and expand the magnitude of Human Resources. As Institutional Member of National Human Resource Development Network, LPU has access to more than 10,000 HR professionals worldwide for discussing latest trends in the field of Human Resources. The Fashion Design Council of India (FDCI) is a non-profit independent association of fashion designers in India formed to propagate the Business of Fashion. With FDCI membership, LPU provides the students of Fashion Design and Technology access to a wider learning experience and a platform to enhance their skills. LPU hosts a chapter of SAEINDIA which, as an affiliate of Society of Automotive Engineers (SAE) International, is a registered Indian non-profit engineering and scientific society dedicated to the advancement of those interested in automobiles in India. SAE is an individual member driven society of practitioners like engineers, executives from the industry, government officials, academics, and students. The principal emphasis of the society is on transport industries such as automotive, aerospace, and commercial vehicles. AIESEC is an international non-governmental not-for-profit organization that provides young people with leadership development and cross-cultural global internship and volunteer exchange experiences across the globe, with focus on empowering young people for making a positive impact on society. The AIESEC network, with over 100,000 members in 133 countries and territories, is the largest youth-run organization in the world. Being a Global University, LPU, in association with AIESEC, has been regularly taking initiatives for providing Global Exposure to its students. ASME is a not-for-profit membership organization that enables collaboration, knowledge sharing, career enrichment, and skills development across all engineering disciplines. With its goal of helping the global engineering community develop solutions to benefit lives and livelihoods, ASME facilitates quality programmes in continuing education, training and professional development, codes and standards, research, conferences and publications, government relations and other forms of outreach initiatives. 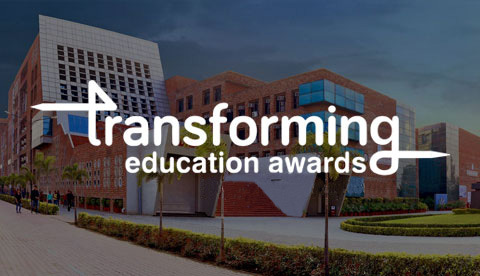 LPU, being a Global University, has been regularly taking initiatives for advancing, disseminating, and applying engineering knowledge for improving the quality of life. All India Management Association (AIMA) is the national apex body of the management profession in India. AIMA has contributed immensely to the enhancement of management capability in the country. LPU is an active member of AIMA for the training and development programmes. The Institution of Engineers (India), a national organization of engineering professionals in India, is a statutory body to promote and advance the scope of engineering and technology. With over 0.5 million members from 15 engineering disciplines in 99 centres/chapters in India and overseas, IEI is the largest multi-disciplinary engineering professional society in the English-speaking world. LPU has membership with IEI to enhance skills of the engineering students through Research, Publications, and Conferences. Under its partnership with Udacity, one of the leaders in the online learning space, LPU has access to the cutting-edge training, which provides a comprehensive, tailored learning experience to the students. Student can enhance their skills by learning Artificial Intelligence, Machine Learning, Basic Programming, Predictive Analysis for Business, Building Websites and Apps. Simplilearn is the world’s largest professional certification company and an Onalytica Top 20 influential brand. With a library of 400+ courses, Simplilearn has helped 500,000+ professionals advance their careers, delivering $5 billion in pay raises. The main objective of Simplilearn is to help every working professional fast-track his/her career through certification courses that up-skill and re-skill precisely as per the needs of the market. LPU has collaboration with Simplilearn for delivery of courses through digital platforms.